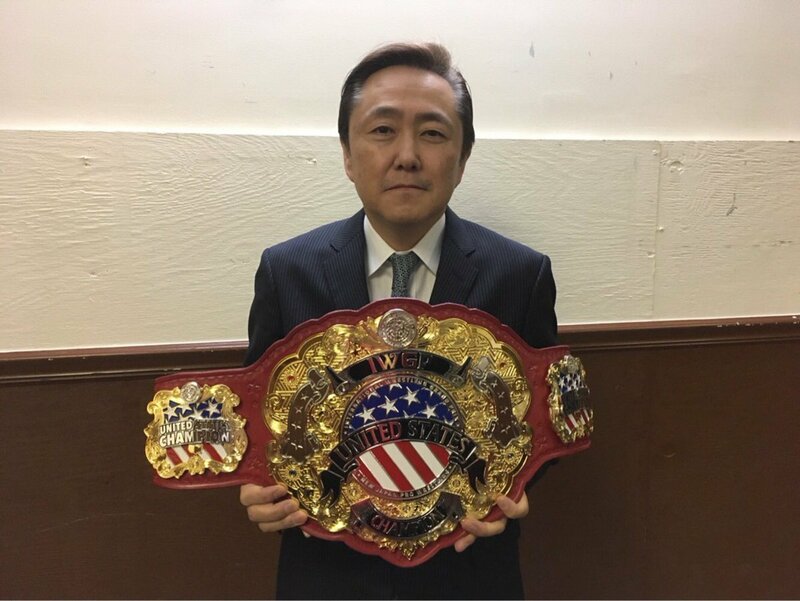 New Japan Pro Wrestling will be crowning the first IWGP United States Champion when the company comes to Long Beach, California in July. The announcement was made in the ring prior to tonight's co-branded ROH/NJPW War of the Worlds pay-per-view at the Hammerstein Ballroom in New York City. There will be a round robin tournament held over the two nights in Long Beach to determine the first champion. Jay Lethal was confirmed as the first entrant in the tournament. Hangman Page confronted Lethal and will likely be in as well. The shows in California will take place on July 1st and 2nd. Aside from initial announcements about which NJPW wrestlers will be appearing, this is the biggest news that has been revealed about them so far. The cards should take shape after NJPW's Dominion PPV on June 11th. Both shows will air live on NJPW World. Jim Ross also posted that AXS TV is set to announce their broadcast plans for the events on May 18th. Ross wrote that fans will like what they hear. Approximately 2,150 to 2,200 tickets per show were initially put on sale, with them selling out within hours. Limited additional seats were also added earlier this month and sold out almost instantly.